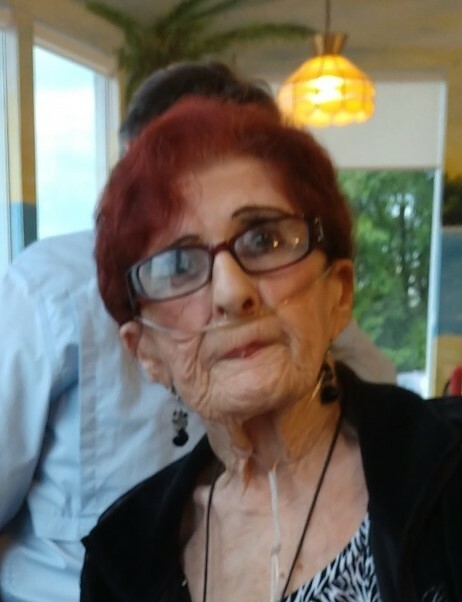 Converse, SC: Lois Elaine Cornelius, 81, passed away Monday February 11, 2019. She was the wife of the late Harry E. Cornelius and the daughter of the late Robert and Mildred Gadue. She was an energetic, fun loving, caring and loving mother, grandmother and great grandmother. She was of the Catholic faith. Mrs. Cornelius is survived by two sons John Hendrickson and wife Donna of AK, and Sherman Hendrickson and wife Chris of TN; three daughters Evalena Yount of Converse, Jetha Pitcher and husband Paul of PA, and Twila Hand and husband Louie of NY. She is also survived by numerous grandchildren, great grandchildren and great-great grandchildren. She was predeceased by a daughter Brenda Rook and a sister Shirley Walters. A memorial service will be 1:00 p.m. Friday February 22, 2019 at Bobo Funeral Chapel officiated by Rev. Daniel Godfrey. Burial will be private.